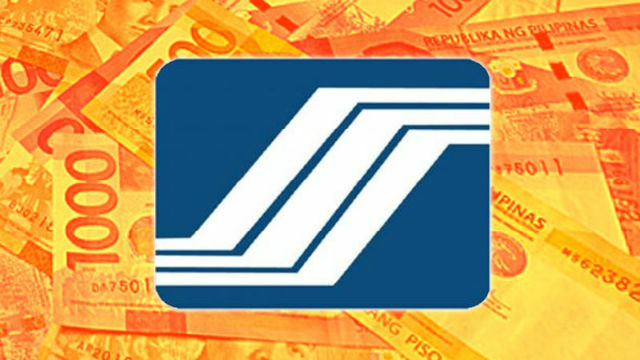 BAGUIO CITY – More than 250,000 members of the state-run Social Security System (SSS) will benefit from the Loan Restructuring Program (LRP) with penalty condonation that will be offered from April 2 to October 1, 2018. SSS President and Chief Executive Officer Emmanuel F. Dooc said the re-implementation of the LRP that condones penalties of borrowers with past due loans is a response to the widespread clamor of those members who were not able to avail of the LRP offered last April 2016 to April 2017. “We would like to express our gratitude to Pres. Rodrigo Duterte for granting us the authority to allow our member-borrowers to clean up their loan accounts with SSS to beable to fully enjoy their benefits as members of the pension fund,” Dooc said. The LRP allows member-borrowers to settle their overdue loan principal and interest in full or by installment under a restructured term depending on their capacity. For bothschemes, SSS shall waive all the loan penalties after the member has completed paying the restructured loan. The program covers all member-borrowers who have past due loans like the Salary Loan, Emergency Loan, Educational Loan (old), Study Now Pay Later Plan, Voc-Tech Loans, Y2K Loans and Investments Incentive Loan. To qualify under the second LRP, the loan must be past due for at least six months from the start of the second implementation of LRP. Member-borrowers must be residing or working as of the date of the disaster in a calamity/disaster-stricken area declared by the National Disaster Risk Reduction and Management Council (NDRRMC) or in the case of Ondoy, by the National Government. All 256 SSS branches and service offices nationwide will start accepting applications to LRP starting April 2, 2018. Qualified members only have six months to avail of theprogram or until October 1, 2018. “Loan payment is inevitable for our members. Even if they avoid paying the loan amount at present, these loans – the principal amount plus interests and penalties – will bededucted from any final benefit they are entitled to like retirement, total permanent disability and death,” Dooc said. Dooc, however, reminded borrowers who have approved LRP applications in 2016 to 2017 that they are no longer qualified to apply under the second LRP. Moreover, members granted with any final benefit claim prior to the LRP availment period and those who committed fraud against the SSS are disqualified from the program. Likewise, approved LRP applicants cannot participate in any future SSS loan condonation or restructuring programs to instill credit discipline. “While the availment period of the LRP is just six months, we still expect to generate about P1.2 billion income from the program and condone some P2.85 billion penalties of our members. This is our way of helping our members to clear their obligations within their capacity, as well as making sure that they have a secured future with their entitlement to full SSS benefits because we at SSS know that a majority of our members have undergone difficulties caused by disasters and calamities,” Dooc said.